This year Lily wanted to be a cat. But not just a simple cat. 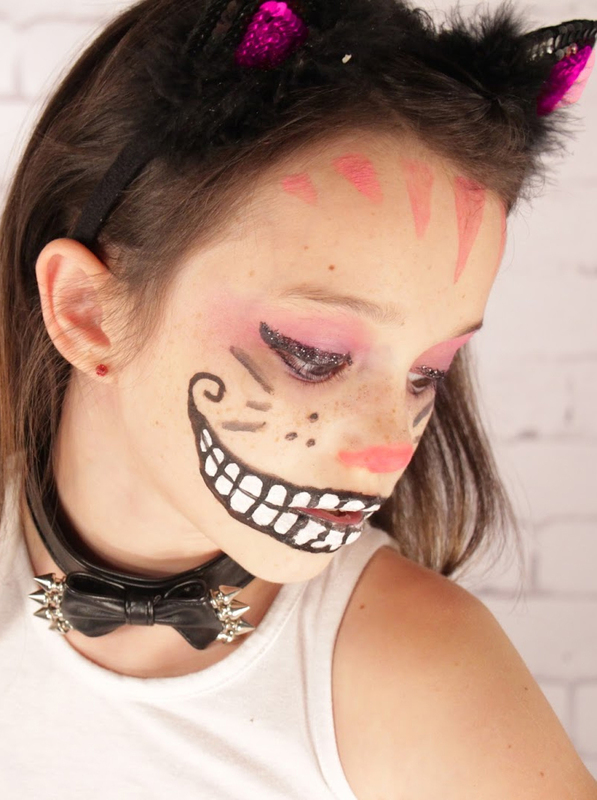 She wanted to be a Cheshire cat so we worked on her makeup and here's what we came up with using Tulip Body Art. 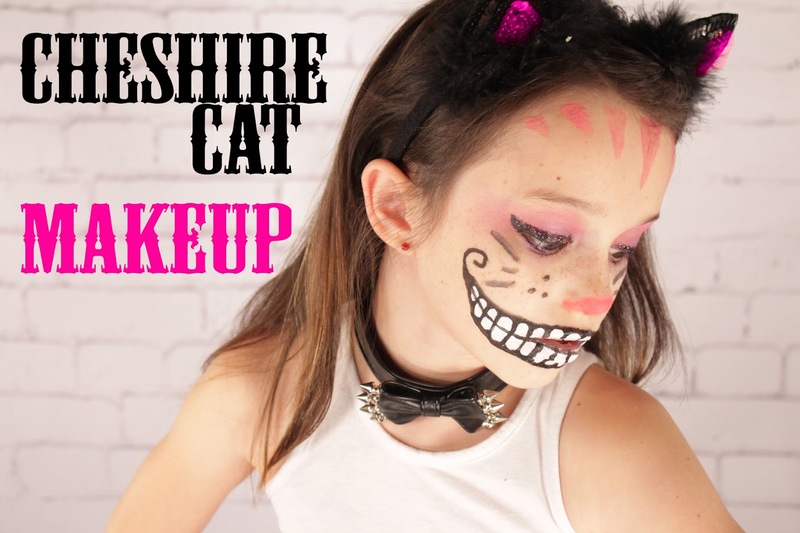 Get the video tutorial below! I didn't have a black light on hand but this product was also black light compatible! Would look pretty cool with just a green creepy smile in the dark. 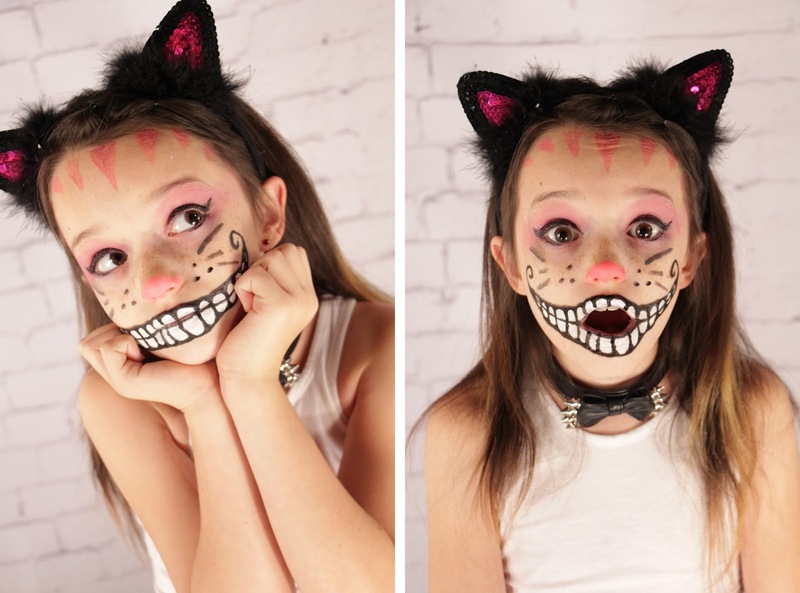 But whether you're going for creepy or cute Tulip Body Art has a variety of professional-quality paint, glitter and hair products to use to get the look you're going for. The above video is a time lapse detail of the whole process which took about 25 minutes. At first she was a little leery of the "creepy" look but after it was finished she loved it and didn't want to take it off at bedtime. If doing anything freehand scares you check out Tulip Body Art Stencils and brushes. Just peel off the stencil and stick to skin. Apply the glue with the soft tip applicator then brush on the glitter with the brush provided. Best of all it all washes off easily with soap and water. Super cute and clever! I love when she opens her mouth - creepy yet cute at the same time!